This is a post that I love putting together! It’s so fun to think of all the foodie things I used and loved this year, or find a few new ideas to add to my wish list. 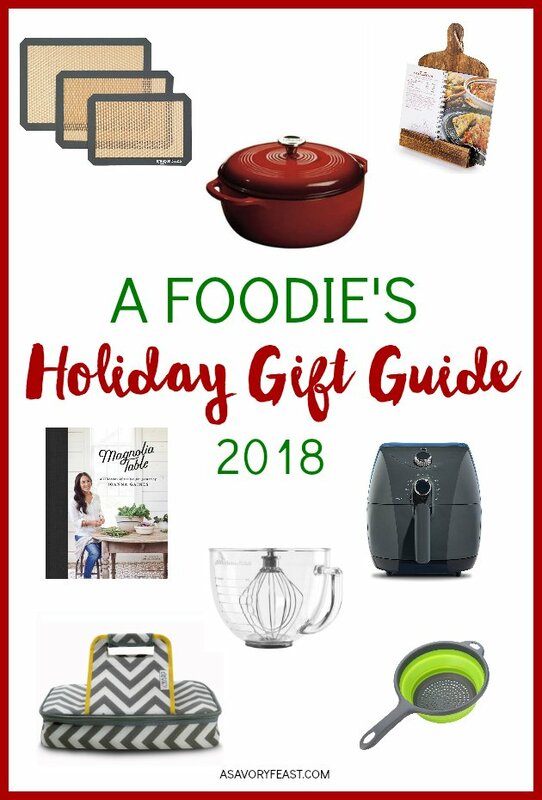 If you have a foodie on your list this holiday season, you’ll find the perfect gift here! Whether you want something practical or something fun, I’ve got lots of ideas in all price ranges to make your shopping simple. #1 Dutch Oven: This one is on my wish list! If you’ve seen my Instagram stories, I recently made a sourdough starter and have been experimenting with making homemade bread. 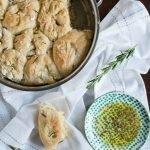 A dutch oven is perfect for baking bread! It’s also great for soups, one dish meals and more. #2 Magnolia Table Cookbook: All of my foodie friends either have this cookbook or want it! It’s sure to be a win for anyone who loves food and Joanna Gaines (um, who doesn’t?!). #3 Pizza Stone: This is a fun one for home chefs! Pizza night is so much better when you make it yourself on a pizza stone. And in case they need a recipe to try… my Bacon Alfredo Pizza is a good place to start! 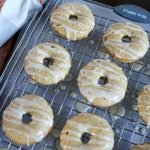 #4 Silicone Baking Mats: I recently got a silicone baking mat and it is awesome! 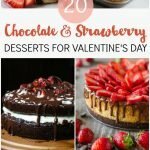 If you have someone on your list who likes to cook or bake and is environmentally conscious (or just likes to save money! ), these reusable silicone mats are a great alternative to parchment paper or foil. #5 Air Fryer: These little appliances have been getting really popular lately! I’ve been seeing a ton of ideas for using it on Pinterest. Check out all of these great ways to use an air fryer from Taste of Home! #6 Glass Storage Containers: I’ve recently made the switch from plastic food storage containers to glass. They last so much longer and are better for your health, too. #7 Insulated Casserole Carrier: I received one of these for a gift a couple years ago and it has been SO handy to have! Anytime I bring a dish to a party or bring a meal to a friend, this is a great way to keep it warm until I get there. #8 KitchenAid Glass Bowl: For your friend who loves their KitchenAid, how about upgrading them to a glass bowl? #9 Collapsible Colander: This handy space-saving tool is great for a college student or anyone who is short on kitchen space. #10: Cookbook Stand: For the person who is hard to shop for and seems to have everything — how about a cookbook stand? Whether they use old school cookbooks or their tablet for looking up recipes, this will be a useful gift. It’s also a great decor piece for their kitchen. What are some of the items on your foodie wish list this year?